Question: Is "Pecan Pie" a movie? Answer: "Pecan Pie" is a short movie from the DVD called "The Work of Director Michel Gondry", released October 28, 2003. 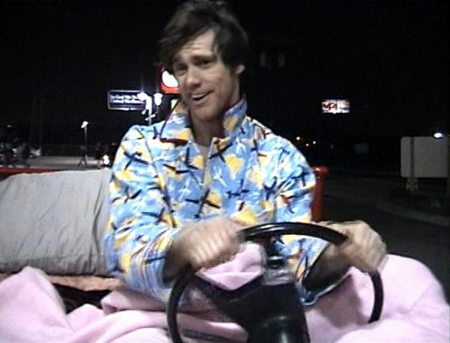 Jim Carrey is driving a bed and singing an obscure Elvis song called "Pecan Pie". He's doing his usual Elvis impersonation, acting silly, and dancing around in the pyjamas he has in Eternal Sunshine. He pulls the bed over to a gas station where they fiddle around with his sheets and he drives off, acting silly again!